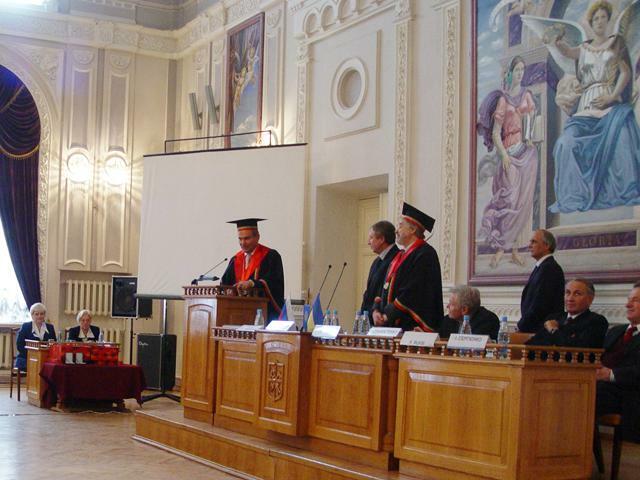 Another election of actual members (academicians) and corresponding and foreign members of Russian Academy of Science (RAS) were held during December 19th-21st. Election process had few stages – at first committee of experts studied lists of candidates, then each candidate was discussed during the meeting of the department. Final decision on each candidate was made during joint RAS meeting. The right to offer candidates for academicians have the scientists, councils of scientific establishments and actual members of RAS. During December elections more than 300 candidates were offered on 82 vacant positions of academicians, and more than one thousand candidates on the 133 positions of corresponding members. WDC-Ukraine wholeheartedly congratulates Aleksey Gvishyani, as he was elected to the acting members of RAS. Thanks to his active support World Data Center for Geoinformatics and Sustainable Development was established and certified, Ukraine has a fully legitimate representation at International Council for Science, Committee on Data for Scienceand Technologyand World DataSystem Scientific Committee. Russian0-Ukrainian cluster of World Data Center was also created and it now operates successfully, also the work on development of regional center on geomagnetic data collection and processing for provision of services to Russian-Ukrainian Segment of World Network of Geomagnetic Observatories Intermagnetwith the prospective of receiving a ststus as a seventh Geomagnetic Information Nodeof Intermagnet network is conducted. Intelligent Geoinformational System “Russia-Uktraine” is developing for support of fundamental and applied researched of compound systems of different nature. Sincerely wish you new achievements and success in scientific and practical activity, health, wealth and good luck! 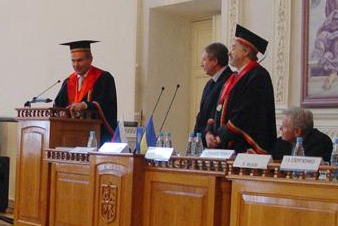 Bibliographic reference – Aleksey Gvishyani – RAS accademican, Doctor of Physical and Mathematical Studies, actual foreign member of NAS of Ukraine, professor of Mathematics at Lomonosov Moscow State University, honorable doctor of NTUU “KPI” Institute of Applied System Analysis (IASA), deputy head of the Institute of Physics of the Earth of RAS, member of RAS Scientific Committee on Geoinformatics, chairman of RAs National Geophysics Committee, member of Scientific Committee of IASA, chairman of the IASA program committee. Awarded with the Order of Friendship of Russian Federation. Scientific developments of Aleksey Gvishyani are connected with mathematical methods of artificial intelligence and their application to monitor volcanic activity, search of geophysical anomalies of different nature and tasks on geodynamics. He is an author of more than 170 scientific articles in leading Russian and foreign journals and digest, also an author of eight monographs.